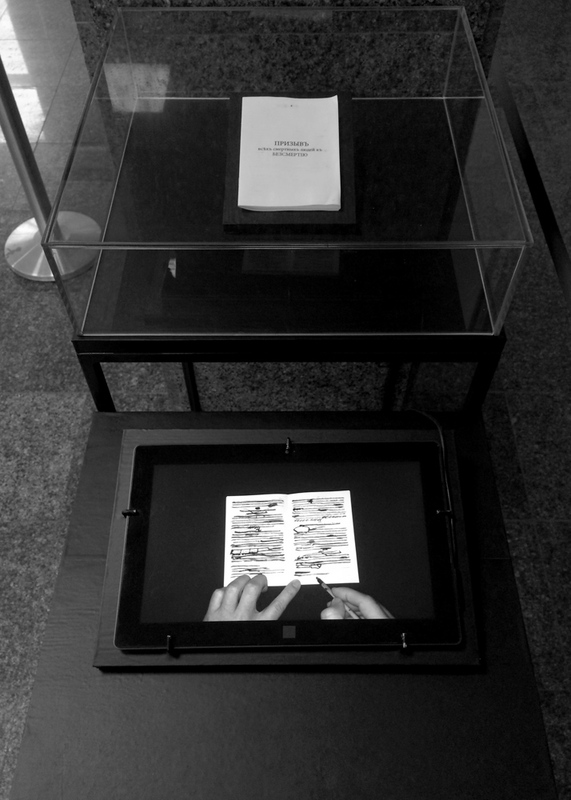 Bogdan Bunchak's polemic project "On the beneficial significance of heresy" touches on two important topics: the phenomenon of censorship and the heresy politics. 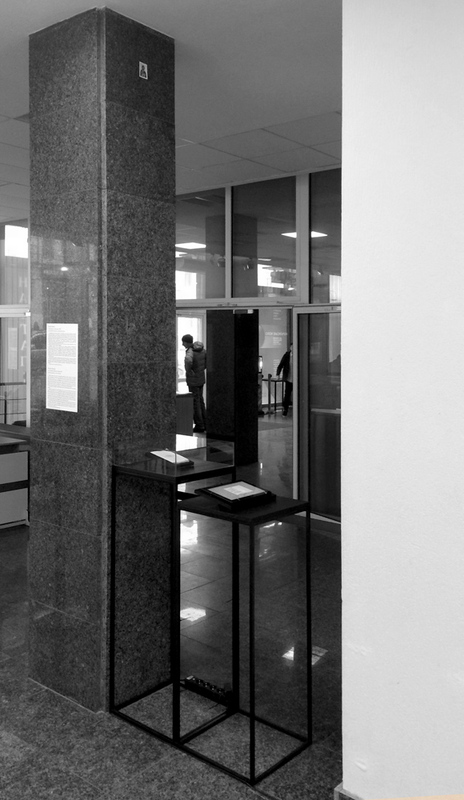 In artistic circles, the discussion on censorship gained further development in 2017 in connection with the well-known events at the Visual Culture Research Center and Pavlo Tychyna Museum. One of Naphthalene's aims is to demonstrate that it would be extremely premature to pretend that the discussion is over and there’s nothing more to add to it. 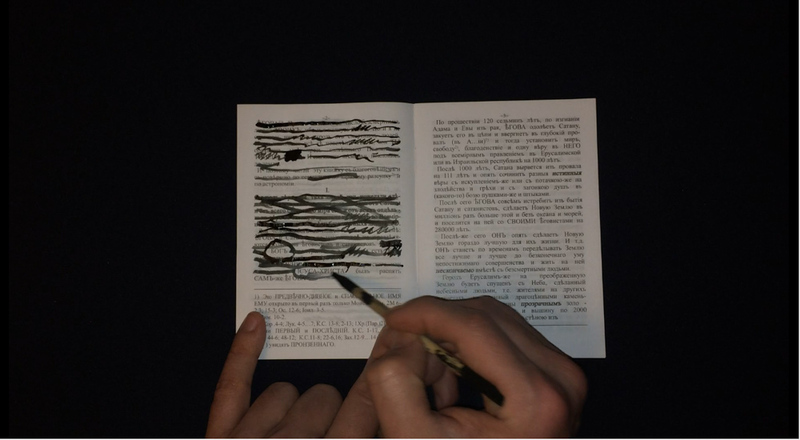 It seems that Bogdan Bunchak develops the idea of Nikita Kadan: “sometimes the word ‘censorship’ has to be used neutrally, or at least without accusatory coloring”. Indeed, if we reject (keep in mind: rejection is the key methodological parameter of Naphthalene) the optics of demonizing the censorship, we can afford asking various heretical questions. 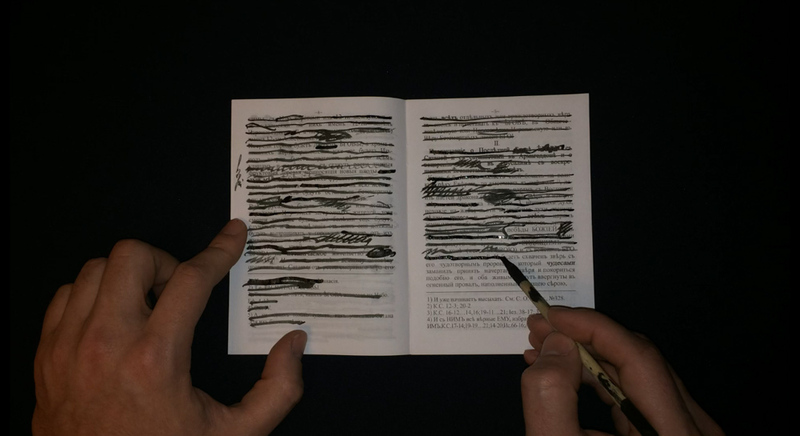 Can censorship be reinterpreted in terms of artistic practices? 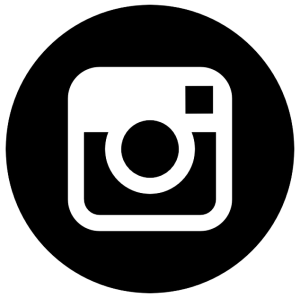 Does this phenomenon have a form-building potential? 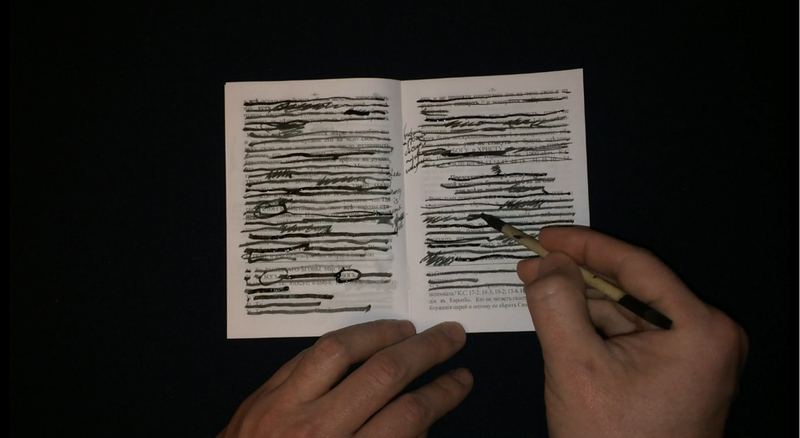 Sanitizing the passages from the “Illintsy” religious sect’s tract using the hand-crafted wooden stylus and black ink, Bogdan Bunchak asks: can one, while practicing censorship, create (new) meanings, and not destroy them? 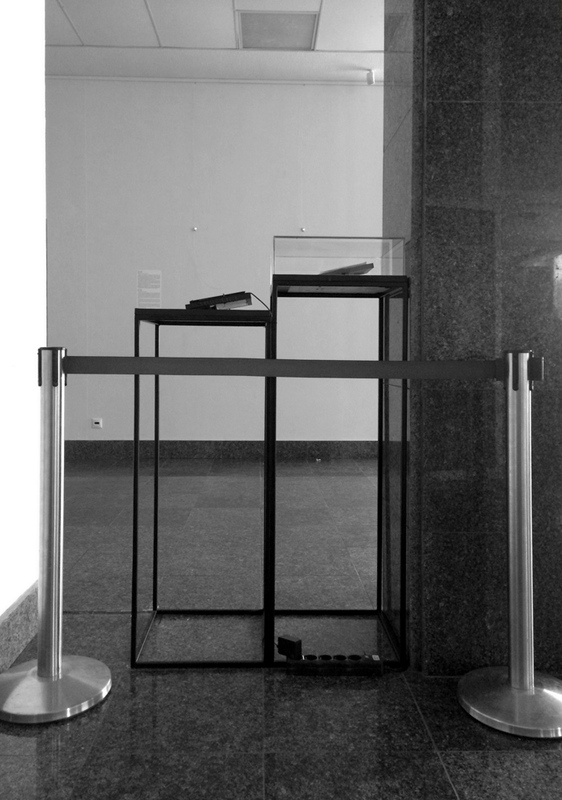 Affirming the former, the artist invites the viewer to consider a number of highly sensitive problems. Labeling a certain belief as heretical is clearly an institutional and political act. Carrying out such a labeling, in particular, during ecumenical councils, the church fathers simultaneously recognized the heresies significance for strengthening the theoretical grounds of the church, since the church had to build up an apologetic counter-argument to attack the emerging “false doctrines”. Speaking in contemporary lingo, heresy was like a virus, against which the infected organism produces antibodies, cures itself and becomes stronger. These theological developments took the form of polemic treatises with titles symptomatically containing the word “against”: “Against Eunomius”, “Against Arians”, “Against Nestorians” etc. But if the continuous emergence of new heresies was perceived by the church fathers as one of the proofs of the singular truth existence, the opposite holds true as well: in a paradoxical way these texts registered the very existence of heretical groups and documented their theological agenda. And in a sense, warmed up the interest to them.